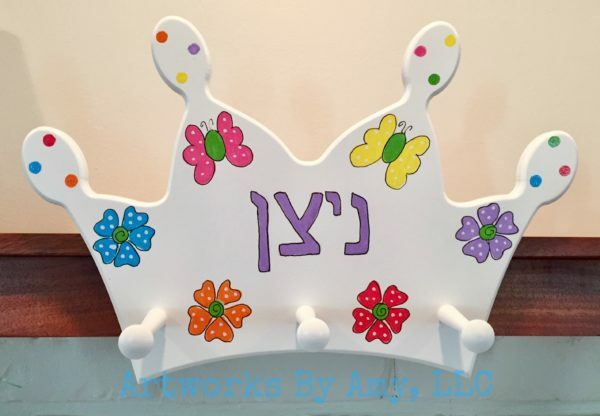 Our personalized and hand painted crown shaped coat rack will be a beautiful statement piece in your child’s room as well as keep them organized! The three pegs will work well to hold coats, sweatshirts, hat, bags or anything you desire. 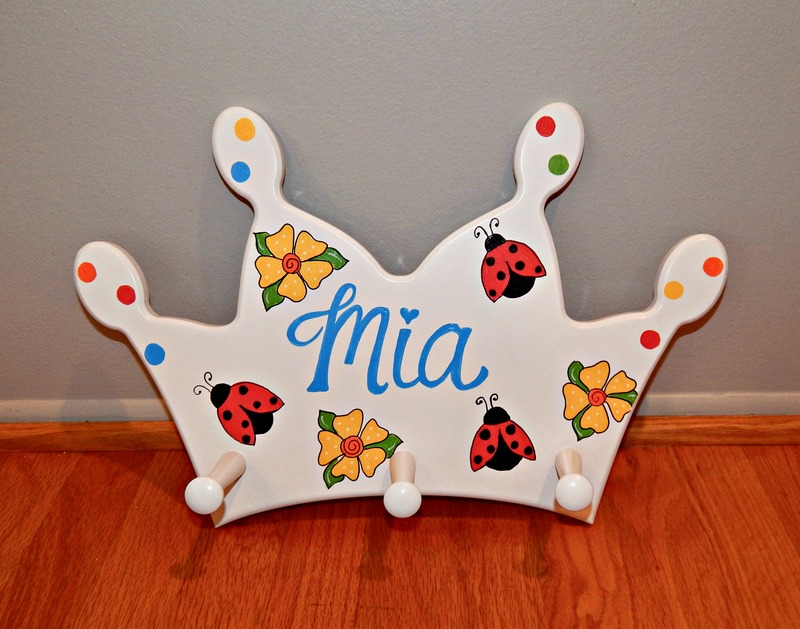 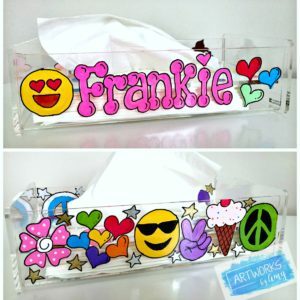 Painted white, this pieces measures 14 w x 10 h.
Personalization includes the child’s name and one of our design ideas. 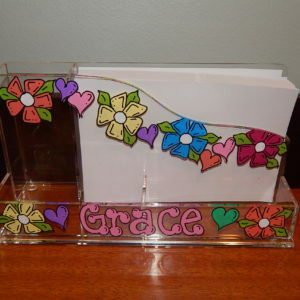 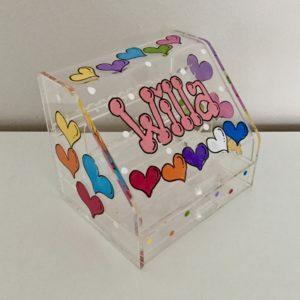 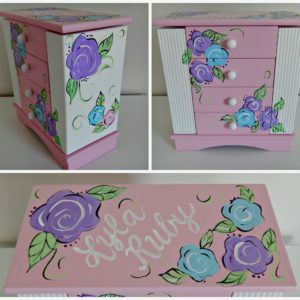 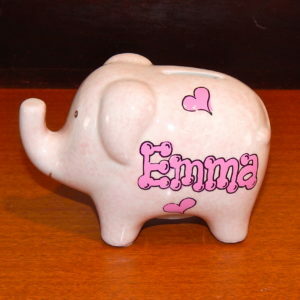 Our items are all hand-painted, so designs may vary on each order. 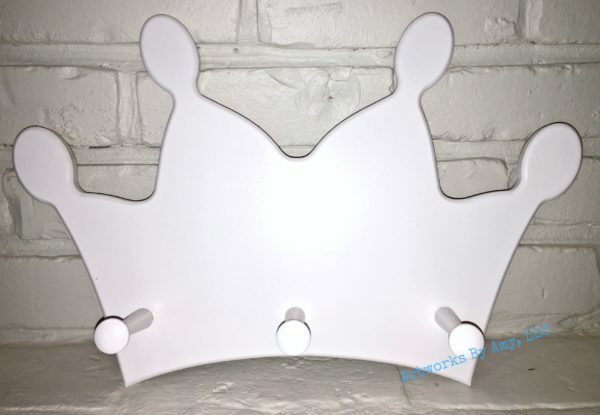 This coat rack takes 7-10 business days before shipping unless special arrangements have been made at time of order.